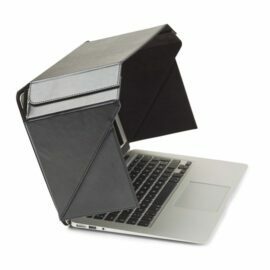 Sun Shade and Privacy Hood for any 13″ – 13,3″ laptop with a name tag holder inside. 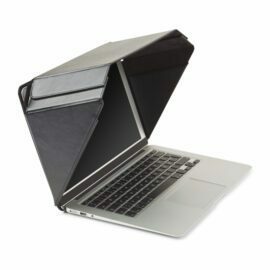 Philbert Sun Shade and Privacy Hood for any 13″ – 13,3″ laptop. This is a unique hood with built-in shielding. 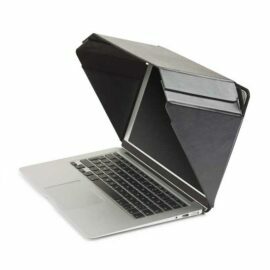 The Screen Shade Hood allows you to work outside in the sun, or to have privacy in public places like trains or planes. This model is perfect if you already have a bag for your laptop as it is small, super flexible and therefore easy to bring. The hood also comes with a name tag inside. Danish Design – elegant, innovative, simple, top quality. Patent no. D790551. 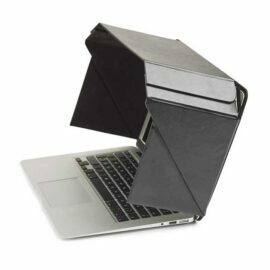 Sun Shade and Privacy Hood for any 13″ – 13,3″ laptop with a name tag holder outside.